Donohoo, Cupp & Associates, CPAs, joined the SEM (Southeastern Ecumenical Ministries) Communities Thursday, August 8, at SEM Terrace to honor the memory of George Robert “Bob” Lamb who passed away July 4, 2013. 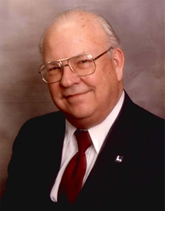 Bob worked for the Donohoo CPA family beginning in 1975 when he joined D. L. Donohoo Sr.’s Batavia practice. After Don Sr.’s retirement, he joined then Donovan Donohoo, Jr. & Associates where he was a partner and remained a member of the staff until his passing. Bob and his wife Sophie have been also active in the SEM communities for over 30 years participating on several boards of directors. His dedication and commitment to both organizations was a testimony to his tireless energy. He will be greatly missed.